Lindsay is originally from Los Angeles, CA and graduated from the University of California at San Diego with a Political Science degree. She’s held music industry positions at Warner Bros. Records and Dreamworks Records before moving to New York City to work for Atlantic Records. She is also a beauty school graduate, a lifelong Los Angeles Kings hockey fan and mother of two miniature dachshunds. Jules is originally from Michigan and graduated from Michigan State University. She moved to Manhattan and started her career in the music business handling brand partnerships at Atlantic Records. She enjoys camping + traveling as well as wine tasting and is a proud mother and wife! 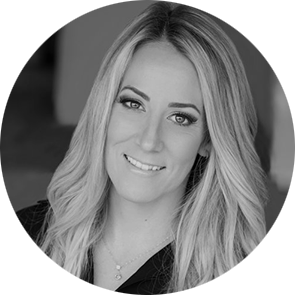 Prior to starting Model B Entertainment, Bari Medgaus was the VP of Development and Partnerships and Producer for Fashion Rocks. Bari was previously the Executive Director of Entertainment and Partnerships for GQ, where she created a new content talent division across their media properties including print and digital, launching groundbreaking advertorial campaigns which brought together brands such as HP, Nautica, and smartwater with talent including Ashton Kutcher, Timbaland, Adam Levine and more. Bailey Harris joined the Viva La Rock team in 2010 and currently heads up the publishing division of the company called littlerock following her graduation from UCSB! She currently enjoys living at the beach as well as being the proud owner of three french bulldogs! In addition to her duties at Viva La Rock, she also doubles as the youngest sister of Lindsay Harris and has fantastic hair! Christina has been a creative director and a producer in the photography industry for 20 years, a decade in the music industry and a decade in the commercial world. She has collaborated with clients and creatives on many aspects of visual storytelling from ad campaigns and image libraries to PR shoots and album packaging. She has also been involved with negotiations on the rights for imagery on the client side and the artist side, understanding the creative and commerce challenges of both sides. Selected client list: Adidas, Royal Caribbean, Lululemon, Fat Joe, Sinead O’Connor, Toyota, Honda, Atlantic Records, MullenLowe and RPA. Lisa Curesky held the position of Director of Photography for over 10 years at a NY / London based photo agency. Her wheelhouse includes art direction, content acquisition and production of still and motion photography. Results oriented and solution driven, Lisa loves the creative process and helping bring the client’s vision to life. In her spare time she doubles as a wanna-be chef. Derek Boucher holds more than 15 years of professional marketing experience with a focus on brand development and culture shaping. Derek injects innovation and creativity in a digital world while engaging consumers and driving business results. His skill set in marketing, web development, digital design and business strategy fall across various industries including fashion & apparel, music, hospitality, experiential event production and more.